I always thought it looks like a little galaxy on my nails! And I agree, more duochromes would be a good trend- forget magnetics and crackles! I love this one! W7 do have some nice colours…may have to get this one. Lol at your Diet Coke Christmas wish 😛 Have a good one! Nooo! It’s out of stock on the website you linked Sad times. I LOVE that colour! I have NO duochromes, even though I have lemmed after YPOM since it came out! I need to change this after Christmas! sooo sooooo pretty!!! and your nails are too!!!!!!!!!!! Wow that’s gorge! How amazing for less than £2!! lovely color. you always choose the best colors. 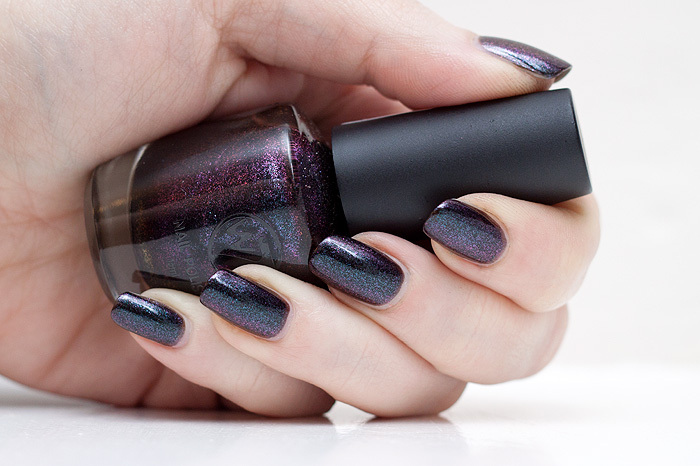 Ahh, this polish is gorgeous! I love, love, love, the pinks and purples.